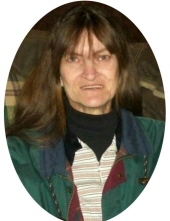 Linda Darlene Lawson Stidam, age 65, of Dry Creek Road, Clearfield, passed away Tuesday, March 19, 2019, at her residence after an extended illness. Born March 4, 1954, in Cincinnati, Ohio, she was a daughter of the late Louis Edward Lawson and Jewell Davis Lawson. She is survived by two sons, Ray Edward Jenkins of West Liberty and Derick Michael Perry and wife Jamie of Morehead; three daughters, Kim Kiser of Clearfield, Laurie Jones of Flemingsburg, and Kristy Littleton of Morehead; one sister, Sondra Bartlett of Berea; 13 grandchildren; and a host of nieces and nephews. Linda was a former employee of Cowdens Manufacturing, Nestle Corporation, and Big Lots. She enjoyed crocheting, gardening, and working in her flowers. Funerals services will be conducted 11 a.m. Friday, March 22, 2019, at Northcutt & Son Home for Funerals Memorial Chapel with Pastor Harley Sexton, Jr. officiating. Burial will follow in Purvis Cemetery. Pallbearers: Steven Jones, Dustin Jones, Cody Jones, Kevin Burton, Jason Bartlett, and John Bartlett. Visitation will be from 6 p.m. to 8 p.m. Thursday, March 21, 2019, at Northcutt & Son Home for Funerals in Morehead. To send flowers or a remembrance gift to the family of Linda Darlene Lawson Stidam, please visit our Tribute Store. "Email Address" would like to share the life celebration of Linda Darlene Lawson Stidam. Click on the "link" to go to share a favorite memory or leave a condolence message for the family.